The Olson Pocket Curling Strategy Board is a great visual tool to keep your team informed about your game strategy or to discuss possible shots. It measures 4" x 8" and features practical magnetic pieces for maximum versatility. 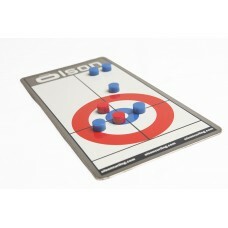 The Strategy Board makes a great gift for any competitive curler.